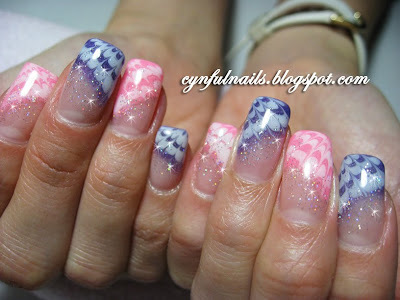 Cynful Nails: purple and pink marble gel art! purple and pink marble gel art! Just one more pic. I know it looks blue but it's purple!! Glitter purple and hot pink. Nice. Loveeee!